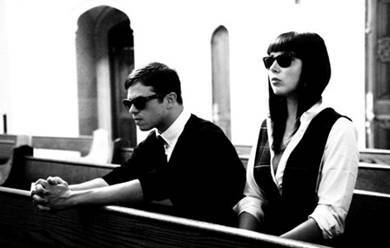 The hype around the Sleigh Bells album Treats has been breathless and immediate. So breathless in fact that tickets to see the Brooklyn-by-way-of-Florida duo at the out-of-the-way Brooklyn watering hole Coco66 were sold out. Now, upon first listen to the album (co-released by M.I.A.’s new N.E.E.T. Recordings imprint), and resulting Twitter mayhem after its NPR streaming debut, all the hype is beginning to make sense. This is a band that’s very of the moment: flashy, in your face, with seriously thin, but catchy sing-song lyrics that register more as sound bites than real lyric writing. Treats is an album that’s easily emblematic (perhaps even too much so). The noise of the Internet, BP’s oil tank explosion, and sweaty kids in white American Apparel tank tops making a conscious decision to reject their Ritalin—it could all be read here, wrapped together into one aggressively distorted, overdriven, and exhilarating electro-mess. Album opener “Tell ‘Em” begins with something that sounds vaguely like the national anthem and then is met with pulverizing drums that sound like missiles. Enter Alexis Krauss’s sugary sweet, schoolyard vocals, drowned in fog—perhaps to drown out the inanity of the lyrics? The equivalent of Magnolia Bakery’s cupcake frosting, Krauss’s vocals are a little like crack—can’t get enough at first, but easy to experience quick burn out. I’m not 100% sure, but I am fairly certain that the lyrics to “Rill Rill” that you reference are “Keep thinking ’bout every straight face yes / Wonder what your boyfriend thinks about your braces,” which in the context of the song (and its other lyrics), are not quite that idiotic. Megan, I’m 100% sure it’s braces not bassist! I think you’re right, Megan. definitely “braces.” this review is kind of idiotic. I originally thought it was bassist as well, but it didn’t fit in context of the song. It’s a good thing the lyrics are online to follow along. Shouldn’t a reviewer know 100% of what they are covering before they put it online? Which kind of makes this review look more idiotic than the lyrics, but whatever. 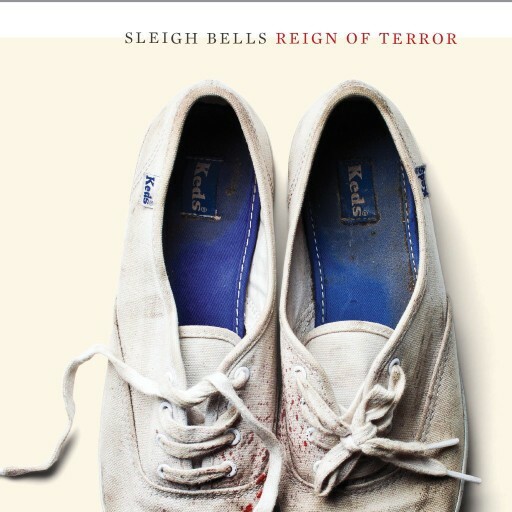 Love Sleigh Bells, Love M.I.A. You wouldn’t happen to have the lyrics for the track ‘Kids’ would you? I can’t find them anywhere..